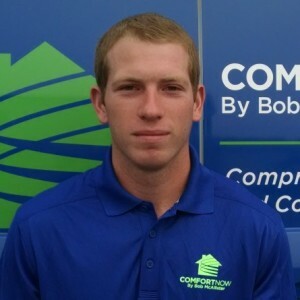 Dominic C has a 5-Star rating and leads the company in total reviews, making this pro a ReviewBuzz Rockstar! 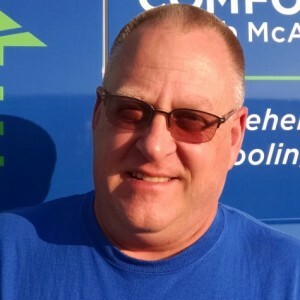 I recently had a new HVAC system installed by Comfort Now. My service installers were Dom and Mike. For dealing with a stressful situation they made the process easy and painless. They were extremely professional and were patients while I asked many questions. Thank you also to Casey who really helped walk me through the process. THANK YOU COMFORT NOW. Dana L.
Mike C and Dominic installed my Mitsubishi ductless units. They were amazing, very professional and very clean. I would highly recommend them! Fantastic service from start to finish. They were able to come out and get a new AC unit installed for me within a few days when mine broke in the middle of a heat wave. Every other company I called told me I'd have to wait at least 2 weeks. They were also the only company that told me about the savings available to me through the SJ Gas program. Another company told me I couldn't get the equipment I wanted because I didn't have the necessary venting--Comfort Now simply put in the necessary venting so I could get the equipment. This company's commitment to the customer is unmatched. They made me feel valued at every step. I would highly recommend Comfort Now to everyone. They far surpass the HVAC company I had been using previously in both customer service and quality of work. The service rep, Matt, was very helpful and stayed in constant communication with me throughout the process. He handled all the paperwork for for SJ gas program and made the process very easy for me. I thought it would be very stressful to unexpectedly need a new HVAC system, but Comfort Now made it easy. The installation crew--Dom, Brian, and Enrique-were also great. They were very professional and courteous. They arrived right on time both days and worked efficiently. I appreciated their hard work and friendly demeanor. Outstanding company. Could not be happier with Comfort Now's personnel and equipment. Were there when they said they would be there and installation could not have gone better or more professionally done. Worked with me to make minor adjustments to the installation to accommodate my 118 year old house. Highly recommend Comfort Now. We met with RJ and he really took his time explaining our options and answered all of our questions. We were not home at the time of installation however when we arrived all was in order and you couldn’t even tell the crew was there as the house was found as we left it. All in it was a terrific experience. Employees are very knowledgeable, courteous and careful concerning homeowner's possessions. I recommend them highly for HVAC needs. Bob and his team were wonderful. Came out on very short notice and installed a new AC unit in the middle of July within 2 days. Mike was very knowledgeable and explained the different options so I knew I was making a good choice. Dominic and Brian were timely, friendly and tidy during the installation. Great company. I had air conditioning installed today by team members Dom, Rob & Mike who were excellent. They were efficient, knowledgeable, well mannered and extremely neat. I would certainly recommend Comfort Now by Bob McAllister.